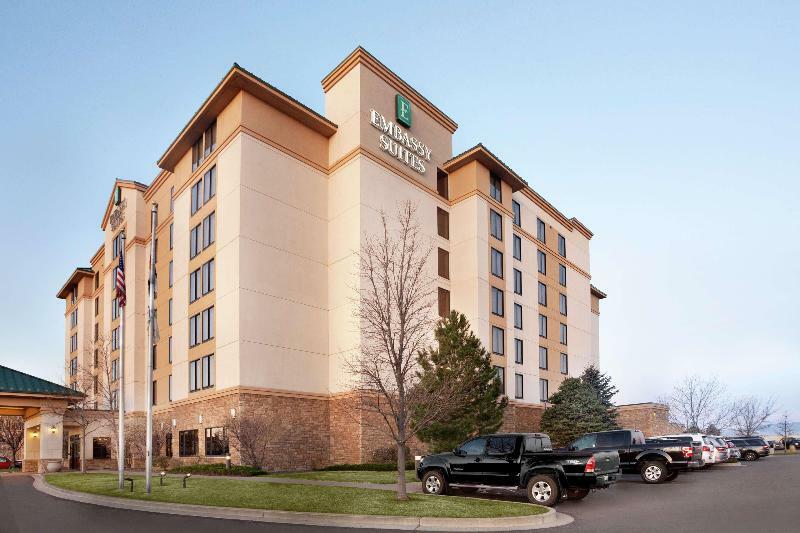 Expedite your stay with a suite at our Embassy Suites Denver-International Airport hotel before and after business meetings, professional sports games and ski vacations. Ride our free Denver airport hotel shuttle (5:00am-12:30am) and take advantage of complimentary internet access in our BusinessLink™ Business Center. Start every day with our complimentary cooked-to-order breakfast and end it with the Complimentary Evening Reception* at our Denver, Colorado airport hotel.When you arrive, stop by the lobby bar to admire the six-story mining head frame in the atrium. Notice the Colorado mountain theme in the furnishings and decor throughout the hotel.Our welcoming Denver, CO hotel provides 174 two-room suites with executive and accessible options. Expect a sofa bed, wet bar, refrigerator, microwave, two televisions and a work desk. In-suite WiFi access is available for a fee.Savor steak or seafood dishes at Diazza Restaurant, which also provides the room service menu. Work out in our Embassy Suites fitness center. Swim laps in the heated indoor pool or soothe tired muscles in our outdoor whirlpool.Enjoy more options and room for business and social functions. Our airport hotel boasts a 4,000 sq. ft. ballroom, three conference rooms and two boardrooms. Make a business presentation to eight potential clients or host a reception for 450 guests. Ask about our catering and other meeting support services. * Service of alcohol subject to state and local laws. Must be of legal drinking age. You travel. WISE donates! 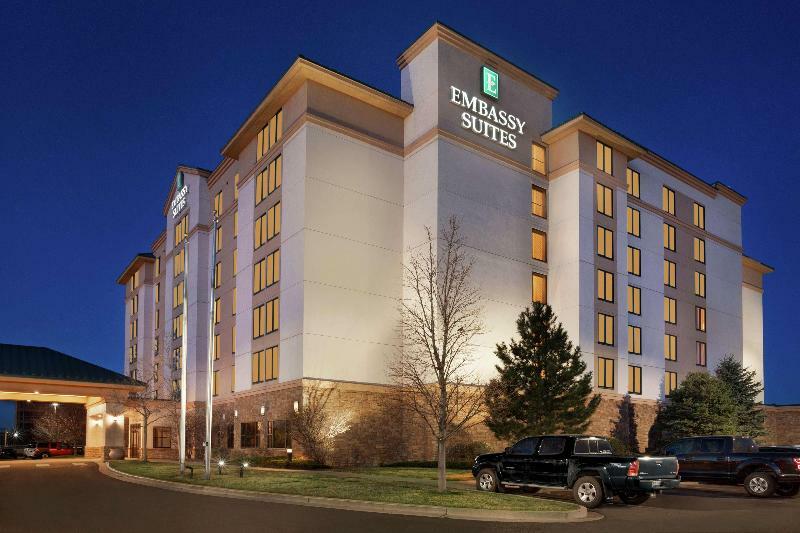 Booking Embassy Suites Denver International Airport at the best price includes a donation to your favorite charity, at no extra cost! We brought 18+ million euros to local communities providing social services to 150.000+ people from vulnerable groups. We support #GlobalGoals.